With summer almost in full swing, mangoes are taking over the stands in fruit shops, grocery stores and supermarkets. Delicious when eaten just by itself, mangoes also make for a very versatile ingredient that can be used in a variety of savoury dishes, from fish curry to salads. Salads are a great way to keep the body cool during the sweltering summer. 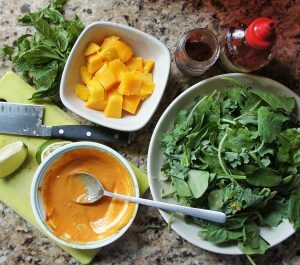 Here’s a simple, mango salad in a delicious Thai peanut dressing that you can experiment with this mango season makes a great appetizer and even better main. 1 small-sized head of lettuce. You can replace the lettuce with any leafy greens of your choice. 1 red bell pepper, thinly sliced into long strips. 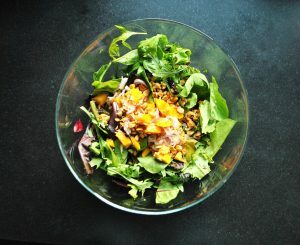 Combine all the ingredients for the mango salad in a large salad bowl and mix thoroughly. 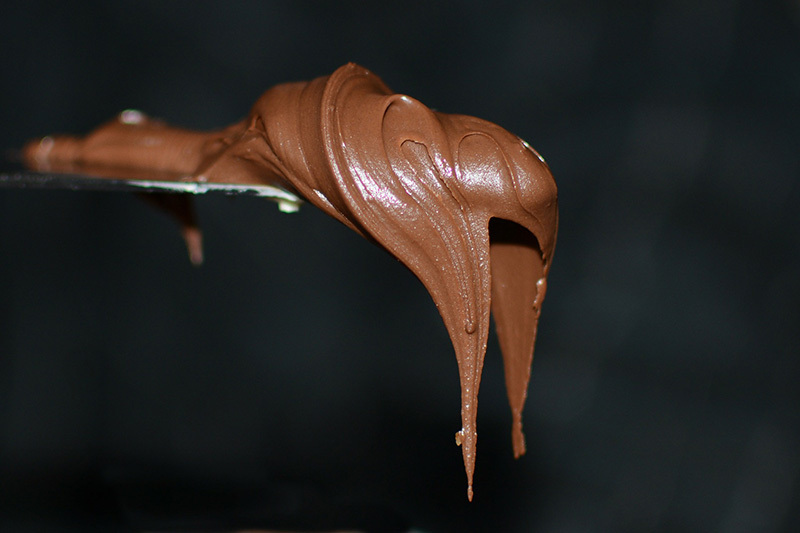 Mix the ingredients for the dressing in a mixing bowl and whisk until its mixed thoroughly. Drizzle a generous amount of the peanut dressing over the mixed the salad and toss it gently to mix. Voila, delicious Thai mango-peanut salad is ready for consumption! You can add some grilled prawns or fish to give this salad your own twist. Happy cooking!